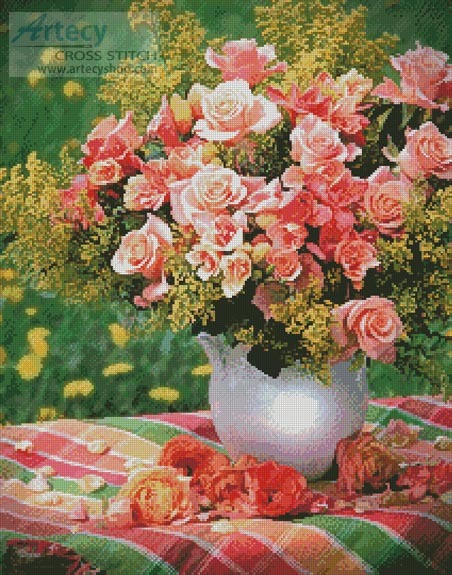 Peach Roses Cross Stitch Pattern to print online. 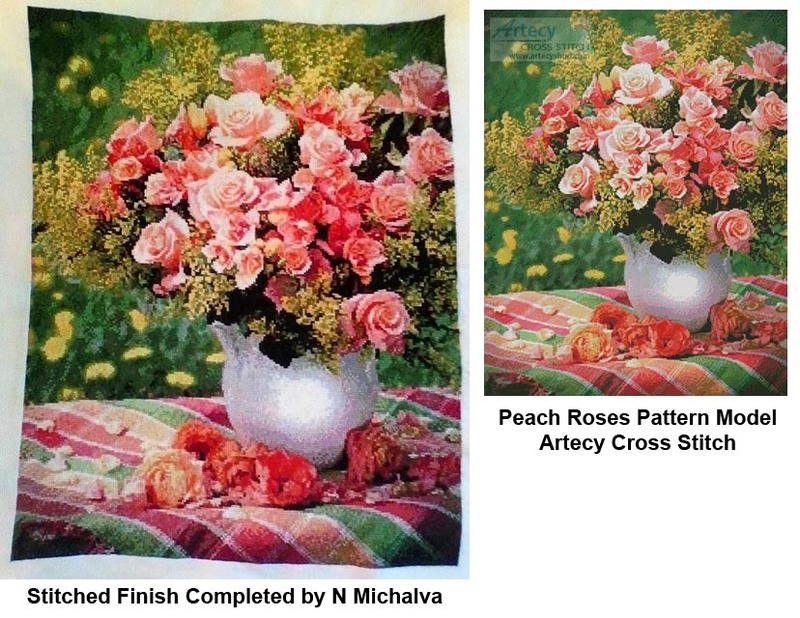 This counted cross stitch pattern of Peach Roses in a Vase was created from a photograph copyright of Carl Rosen. Image licensed through Interlitho Licensing.